. إن الخدمات الممتازة وحسن الضيافة العالي في 16 Northgate Motor Lodge تجعل إقامتك تجربة لا تنسى. يمكن الاستمتاع بمجموعة من الخدمات على أعلى المستويات في الفندق كمثل واي فاي مجاني في جميع الغرف, واي فاي في المناطق العامة, صف السيارات, مرافق للشواء, جولات. في 16 Northgate Motor Lodge غرف نوم يزيد عددها عن 23 صممت بذوق وعناية لتوفر لك كل وسائل الراحة . بعضها يحتوي أضاً على تلفزيون بشاشة مسطحة, اتصال لاسلكي بالإنترنت, غرف لغير المدخنين, مكيف هواء, تدفئة. كما أن مجموعة الخدمات الواسعة الموجودة في الفندق لضمان راحتك تترك لك الكثير من الخيارات لقضاء وقتك أثناء فترة إقامتك. إن 16 Northgate Motor Lodge هو مكان مثالي للمسافرين الذين يتطلعون إلى الراحة والاستجمام في نيو بليماوث. Very comfortable and spacious. Great to be able to bbq. Staff very helpful and friendly, would stay there again. we were very pleased with the Motel. It was clean, comfortable; and spacious. The staff were friendly and helpful. Only difficultu was a small bed (we prefer a Kind bed) and small towels. Everything else was perfect. Very good place to stay. Tidy and plenty of parking space. 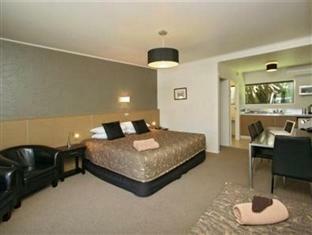 Room is nice & facilities are OK.
Our first visit to New Plymouth, we found it a great place to stay. Very handy for the supermarkets & shops. Also easy to visit Egmont, Dawson Falls and Mount Taranaki. So much so instead of checking out on Monday, we stayed another night. Would recommend this motel anytime. Tidy, clean and great location. Price was steep but New Plymouth was busy this weekend so all the motels had increased their prices. This is a very nice motel. 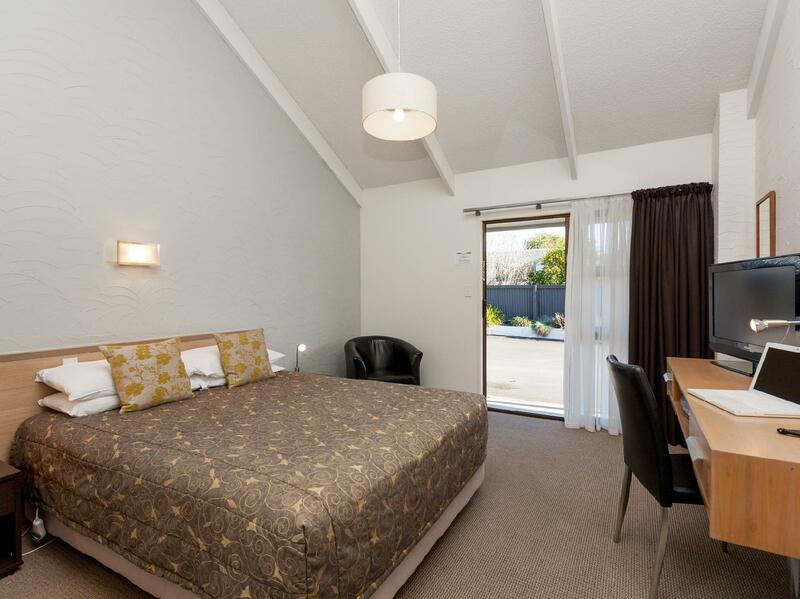 Double glazing & air con in the rooms. Spa for guests. Very clean & comfortable. The only complaint was that the unit was a bit small. Stayed for two nights and found the staff very good, gave directions and made suggestions which we found very helpful. The supr king bed was very comfortable and double glazing on the Windows.made for a quiet nights rest. Could not rate food as we did not eat in. 1. The service is excellent, staff are very friendly. 2. Beds are very comfortable, not sleeping on a board with a sheet. 3. Bathroom is fantastic, awesome water pressure, disability friendly. We found the owners to be very friendly, chatting away with us while booking in which, after hours in a car, was refreshing and rewarding. The room is clean and immaculately presented. The bathroom is a definite bonus! The shower has great water pressure which soothed our necks and backs to no end. The kids loved the selection of channels (50!) especially the Disney channel. Location is very central to New Plymouth which is great for dining out...recommend Crowded House. All up, we would definitely stay again, longer next time. Highly recommended, thanks heaps! 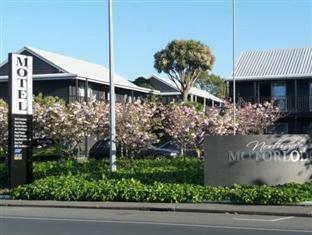 We stayed in this hotel on our way to Wellington. Nice place to stay, close to local restaurants and to the coastal walkway. Clean room, with heat pump/air conditioner for your comfort. Good value for money. Closeness to everything, the staff, rooms were really good. Excellent, had a really comfortable stay there with my son. Electric blankets, comfy bed, sky tv, everything was catered for. Very friendly staff, close to all our needs.